The most recent Erickson Merkel Foundation fundraiser blew the previous two out of the water. But first, credit where it is due. Mary Anton, Tyson Bittner, Jared Klempel, Marnie Piehl, Mike Renner, and Carly Retterath made the EMF North Dakota Team’s 3rd Annual Fundraiser a monumental success! 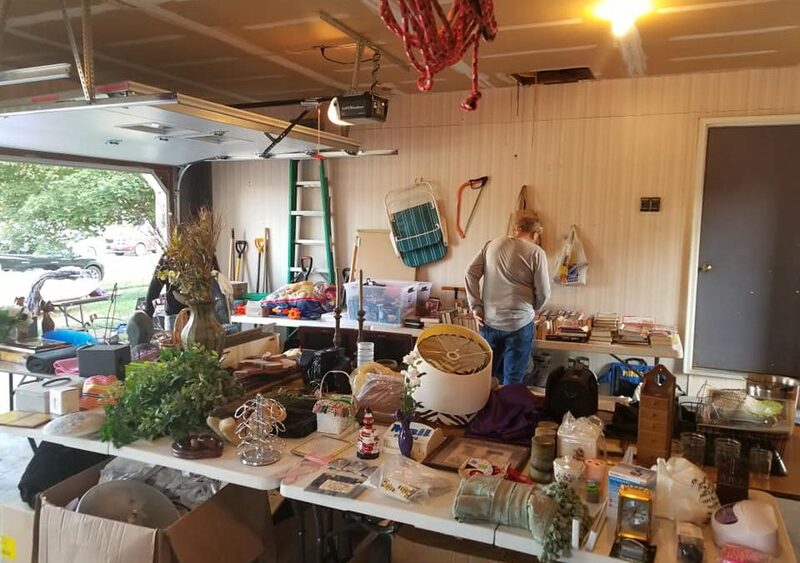 The event lands on the second week/weekend of September, which has historically been the weekend in Bismarck/Mandan for garage/rummage sales. Coinciding with the United Tribes Technical College International Powwow, tens of thousands of people hit the residential streets to find what treasures they can on what is likely more folding tables than most people have ever seen. When the N.D. 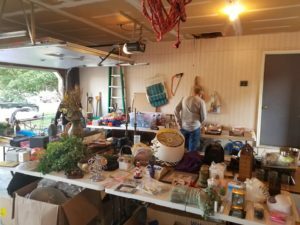 Team held our first sale in 2016, we had about eight households donate their unwanted household items to us – ranging from toys to wall hangings, electronics, clothing (bags and bags and bags of it) and everything else that a person might have in their home. Those eight households netted us roughly $650 or so, which wasn’t bad for the first outing. Last year, the number of households who donated items doubled, and we were fortunate enough to raise between $1,000 and $1,100 – enough for one full scholarship. So, we were able to grow by 40-50% from last year, thanks to the tireless efforts of our N.D. Team and everyone who donated their household items. Plus, now I get my garage and shed back, so that’s a nice bonus as well. Once it was said and done, those 10 full SUV loads turned into about one and a half. 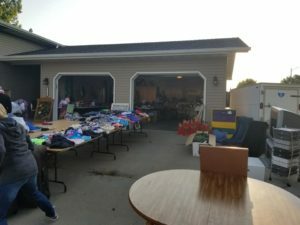 The clothing, kitchen items and toys that didn’t sell will be given to Community Action, a public not-for-profit in Bismarck that provides clothing to impoverished households. The remaining few boxes will get packed back into the shed to collect dust through the next year until we bring it out again next September (which I really don’t want to think about, yet). Thanks to all my team here, and to all the households that donated to this sale. You just helped fund another scholarship (and a half)! And, thanks to some last-minute sign printing and placement, we raised more awareness about our mission. p.s. We once again placed Bigfoot outside on the lawn to serve as a point of interest and to brand our event. Not only did it get more offers than any other item (sadly no one made the magic offer of $1,000), but it served as a selfie magnet and surprised the heck out of a few dogs!